You’ll instantly recognise this building as it’s one of the most familiar in Venice. It used to be the administrative centre, hall of justice and prison for the old Venetian republic and as with most things in Venice, it’s been well preserved. The architecture is impressive on the outside and we’d recommend spending some time under the arches around the building, but you can also go inside which is a lovely experience. We took the “Secret Itineraries” tour and enjoyed seeing more of such an impressive building. This is an extract from our free Venice City Guide. 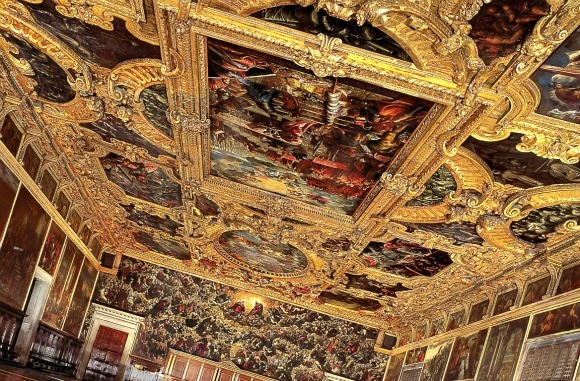 The palace was the official residence of the 120 “doges” who ruled Venice from 697 to 1797. Highlights inside include the Great Council Chamber, the Sala del Senato hall, a networkj of prison cells, the Doge’s apartments and the impressive Golden Staircase. Adult admission to the Doge’s Palace costs 16.50 Euros and the enhanced “Secret Itineries” tour mentioned above is 23.50 Euros (2010 prices). This tour includes the general palace admission price however. The palace is open daily from 9am to 7pm and the “Secret Itineries” tour is available from 9am to 1pm daily. 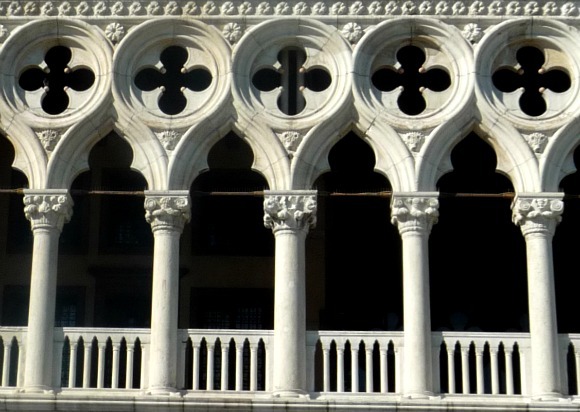 To ‘Skip the Line’ at the Doge’s Palace, you could take the Venice Walking Tour which is led by an experienced guide. 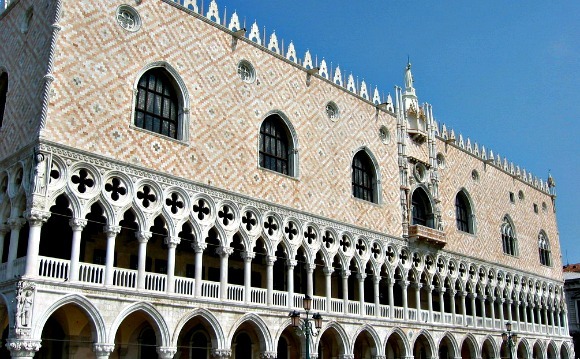 Address: Doge’s Palace (Palazzo Ducale), St Mark’s Square, 31024 Venice, Italy.